Ever wondered what it would be like to be the master of the Dark Arts of magic? Well this is what Thaumic Darkness is trying to achieve, by creating the most powerful objects in all Minecraft’s kind all fueled by one thing, Darkness. 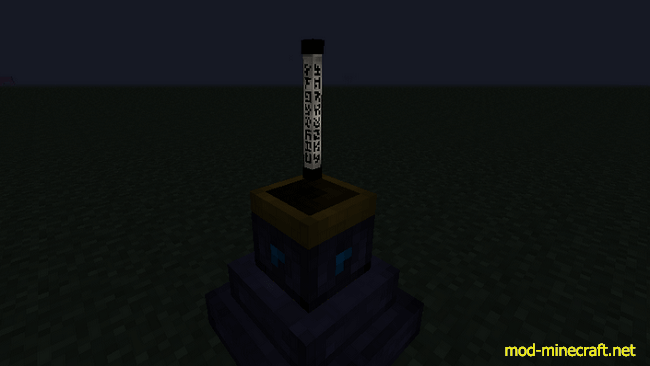 Ingot of the Darkness: Same as above, made from Blackout Shards and Iron. Belt of the Nether Star: A perfected version of Ring of Cleansing, this time it gives you effects all the time, gives you bad stuff occasionally. More to come, make sure to check here frequently for new content or TC Api updates other than that, have a nice time!